The ill-fated Edward of Lancaster was the long-awaited only child of King Henry VI of England and his queen, Margaret of Anjou. His birth produced even more disruption during the political power struggles of the 1450’s in England due to his father’s weak and misguided reign. At the time of his appearance, his father was suffering a bout of insanity and his birth displaced Richard Duke of York as the heir apparent to King Henry. 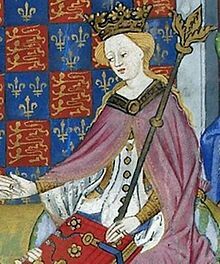 Edward’s birth and the illness of her husband triggered Margaret of Anjou to an active participation in politics and she would become an even fiercer advocate for keeping her husband on the throne so Edward could inherit it from his father. This fight between Edward’s parents and the Duke of York would become known as the Wars of the Roses. King Henry and Margaret of Anjou had been married eight long years before she conceived a child. 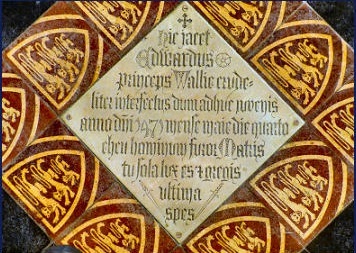 Edward was born on October 13, 1453 at the Palace of Westminster and is sometimes known as Edward of Westminster. October 13 is the feast day of King Edward the Confessor so Margaret named her son after him. He was baptized by Bishop Wayneflete of Winchester at Westminster Abbey. Serving as his sponsors were the Duke of Somerset, the Archbishop of Canterbury and Anne, Duchess of Buckingham. The infant was carried into the abbey along with a procession of monks carrying lighted tapers. Following the baptism, Edward was made a Knight of the Garter and given the title of Duke of Cornwall. Edward was presented to his catatonic father at Windsor at either Christmas 1453 or New Year’s 1454. The only acknowledgment from King Henry was the raising and lowering of his eyes. In the spring of 1454, Queen Margaret and Richard Duke of York commenced a power struggle to exercise royal authority during the king’s illness. Richard felt he had a reasonable claim to the throne due to his ancestry and believed the Lancastrian kings had appropriated his birthright. Margaret made a bid to be named regent of the kingdom during the king’s illness and to have control of Edward’s household. She lost the bid to become regent. Parliament proclaimed Edward of Lancaster as King Henry VI’s heir but Richard Duke of York was named Protector of the Realm either until the king revoked his power or Prince Edward came of age. On March 15, 1454, Parliament signed a charter creating Edward Prince of Wales and Earl of Chester. He was given an income of £2000 annually and invested as Prince of Wales in June. In July of that year a household of thirty-nine was established for the prince. Edward’s early years were dominated by his father’s illness and his mother’s increasingly violent struggle for power against the Yorkist faction at court. Part of the propaganda spread due to the friction was that Margaret had been unfaithful to the king and Edward was therefore not legitimate. There is no evidence Margaret had any adulterous relationship and the government continued to recognize Edward as his father’s heir. On December 30, 1454, Henry emerged from his illness and learned the name of his son for the first time. He held up his hands and thanked God. He inquired what the names of Edward’s godfathers were and was told Cardinal Kemp, the king’s minister and the Duke of Somerset. Henry seemed well pleased. In November of 1456, Edward’s household was granted £1000 per annum from revenues of his patrimony until he reached the age of eight and it was decreed he was to live with the king until he was fourteen. He spent the majority of his time with his mother in the midlands or in Cheshire and in January of 1457, a council was appointed to him and they administered his patrimony. The council was controlled by his mother and dominated by men from Margaret’s household. In the autumn of 1458, a marriage was discussed for Edward with either a Valois or Burgundian princess but nothing came from the talks. The fight between Margaret and the Duke of York took a violent turn in 1455 at the first Battle of St. Albans but fighting again erupted in September of 1459 at Blore Heath. Some of the troops of the Lancastrians were dressed in Edward’s livery. The battle was a loss for the Lancastrians but the Duke of York fled to exile three weeks later. In November, Edward attended the Parliament where the Yorkists were attainted and the Lords acknowledged Edward as the next king. In early 1460, Edward was ostensibly appointed to commissions to secure Wales and Cheshire. After the Battle of Northampton in July 1460, Henry VI, who had come out of another mental torpor, was captured by the Yorkists and put in prison in the Tower of London. Margaret and Edward escaped to Harlech Castle in Wales. York made a bid to claim the throne in his own name but the lords of Parliament were skeptical. Instead, they allowed Henry to remain king until his death but named Richard as his heir, thereby displacing Edward of Lancaster from his hereditary right. York also obtained a grant of Edward’s patrimony which included the principality of Wales, the country of Chester and the duchy of Cornwall. This amounted to an income of ten thousand marks per year. Edward’s council wrote a letter of protest to the City of London. Margaret was furious and stood her ground. She would never agree to this. Margaret and Edward left for Scotland and sought sanctuary and military and financial help from Mary of Guelders, the dowager Queen of Scots who was acting as regent for her son James III. Prince Edward was taken into Mary’s household and welcomed to Falkland Palace. In 1461, Margaret agreed to give Scotland the castle of Berwick and for Edward to marry a sister of James III in return for military assistance. Her troops headed south, all dressed in Edward’s livery. Richard of York was defeated and killed in the Battle of Wakefield in December of 1460 and Queen Margaret’s troops were victorious at the Second Battle of St. Albans on February 17, 1461. King Henry was reunited with his wife and son. On the battlefield, Edward, dressed in purple decorated with gold, was knighted by his father. His mother asked her son to decide the fate of Lord Bonville and Sir Thomas Kyriell who had been captured during the battle and were considered traitors. The Prince called for their execution and actually witnessed their deaths. Margaret went further south and attempted to enter London but the city was suspicious of her troops made up of men from the north and would not open the gates. The city sent a deputation headed by Jacquetta of Luxembourg, Duchess of Bedford and Anne, dowager Duchess of Buckingham to negotiate with Margaret. She promised her troops would do no harm but eventually withdrew back to the north. The city did, however, open the gates to Edward, Earl of March and his Yorkist army. After the Yorkist victory at Towton in March of 1461, Edward, Earl of March, eldest son of Richard Duke of York was proclaimed King Edward IV. King Henry VI, Margaret and Prince Edward fled to Scotland. In 1462, his mother came to England with troops from France and Edward was present when they captured Bamburgh and Dunstanburgh Castles in Northumberland. A Yorkist force recaptured all that Margaret had gained. King Henry VI was eventually captured and imprisoned. Edward and his mother escaped to sea and were nearly shipwrecked. They were captured by robbers and only gained their freedom with the help of one of their captors. They made their way to France where they lived at the castle of St. Michel-en-Barrois. This may have been the most content and happy time of Edward’s life. Over the next few years, he was tutored by his mother and John Fortescue. He grew up to be handsome and intelligent and an expert in martial arts and feats of arms. As part of his mother’s mission to recruit military and financial help to restore Henry VI, Edward wrote letters of appeal to other royal rulers. In 1470, King Edward IV’s mentor Richard Neville Earl of Warwick turned against him for various reasons and agreed to take up the cause of the Lancastrian King Henry VI. Margaret understandably hated Warwick and had cause not to trust him. He was a kinsman of Edward IV and had been part of the league that deposed her husband. A pact was made between Margaret and Warwick to try to wrest the throne of England from Edward IV. Part of the agreement was the marriage of Prince Edward to Warwick’s youngest daughter Anne Neville. Margaret was dead set against her son marrying Anne. But eventually King Louis XI of France prevailed upon her and Edward and Anne were betrothed in Angers in July. The actual marriage took place at the royal chateau of Amboise on December 13, 1470. Some historians believe Margaret kept the couple from consummating the marriage in order to have it annulled later but there is no evidence of this. 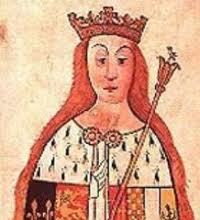 However, Margaret would not allow Edward to go to England until Warwick had restored Henry VI to the throne. This caused many Lancastrians to avoid supporting Warwick. Warwick engaged King Edward at the Battle at Barnet in April of 1471 but was killed in action. Margaret and Edward landed in England on April 14, 1471 within hours of Warwick’s death. Margaret was devastated when she heard about the loss of the battle and the death of Warwick. She wanted to give up the fight but her advisors convinced her to continue. They were in friendly territory in the western counties and intended the join up with the stalwart Lancastrian Jasper Tudor and move on to the heartlands of the Duchy of Lancaster. They made their way to Tewkesbury where they would engage the Yorkists. Before the battle, Edward and Margaret rode among the troops issuing words of encouragement and promising rewards. The battle began on May 4. Edward was in nominal command of the Lancastrian army. He led the center of the troops under the auspices of the seasoned warrior Sir John Wenlock. In the course of the battle, Wenlock was killed by a blow to the head with an axe, leaving the Prince solely in charge. Edward himself was killed during the action on the field. The death of the Prince of Wales signaled the end of the Lancaster dynasty and sealed the fate of King Henry VI. He died in the Tower of London on May 21 upon the orders of King Edward IV. Margaret was captured and imprisoned. 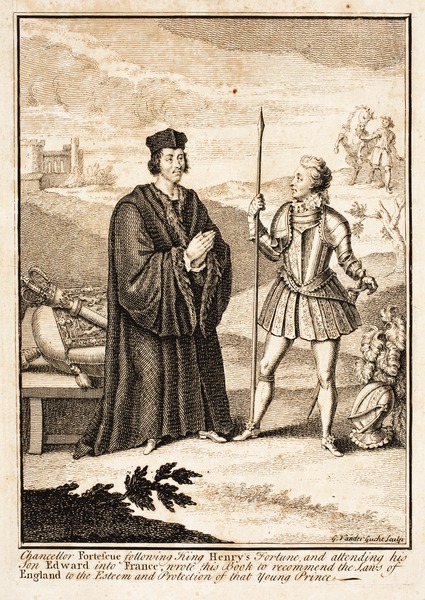 Eventually, King Louis XI ransomed her and she returned to France to live in poverty for the rest of her life. Asking for help from the Scots was probably not Margaret’s most sensible move.